Our WiFi and roaming services define true seamless connectivity, gaining in-flight access to wireless hotspot and roaming calls services. 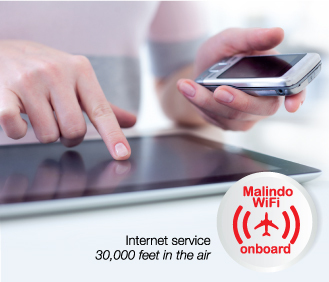 Malindo WiFi is a true global broadband in-flight connectivity service. It sets the standard for the next level of in-flight experience by delivering broadband connectivity to aircraft flying all over the world, even over the oceans. This connectivity service enables passengers to access the Internet, compose and send email, log onto their favorite social media sites, or even watch video sharing sites in their own PEDs (Personal Electronic Devices). All WiFi-enabled devices – laptop computers, notebooks, tablet systems and smartphones can access the internet through this Malindo WiFi. Once the device is switched on and the user launches an internet browser, the user is then directed to our portal. 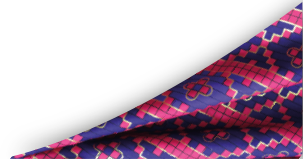 Packages of duration can be purchased prior to the flight and onboard. 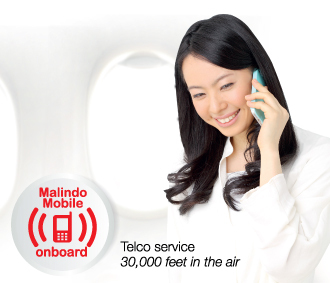 Malindo Mobile unleashes the capability of GSM-enabled devices in flight. On flights equipped with the system, passengers can make voice calls, send Short Message Service (SMS) or Multimedia Messaging Service (MMS) messages, surt internet through data roaming and utilize other applications available on these devices much as they are able to do on the ground. The use of this service will require passengers’ phone to have roaming enabled. Their cellular provider for their use of the service will bill passengers consistent with the established tariff, like they would while roaming outside of their home territory. Malindo Mobile currently supports both GSM and Enhanced Data rates for GSM Evolution (EDGE) protocols, which represent the majority of devices available in the world today.